Let's get something straight...I love to bake - I have always been a good baker. Cooking, on the other hand...well, it has not come naturally...and my family is P-I-C-K-Y. I find myself making the same things over and over and they get bored and I get frustrated...BUT I do have a few tricks up my sleeve and this Flavorful Slow Cooker Chicken is one of them! I am not a big meat-eater (which is like a sin in Texas) but my family, especially my husband needs his meat for every meal. 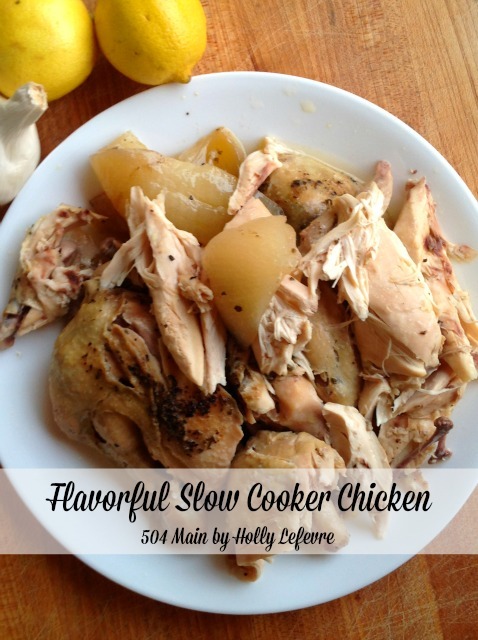 I continue to test and try different recipes to find combinations of flavors that he (and the kiddos like)...and this super flavorful slow cooker chicken is a "winner, winner, chicken dinner!" Mix the softened butter with all of the spices, salt and pepper. Mix thoroughly. Breast side up, gently use your fingers to separate the skin from the meat. Use your fingers to place the butter mixture between the skin and meat all over the breast and into the wings and drumsticks (as best you can). Place 1 cup chicken broth into the slow cooker. Turn slow cooker on "low." 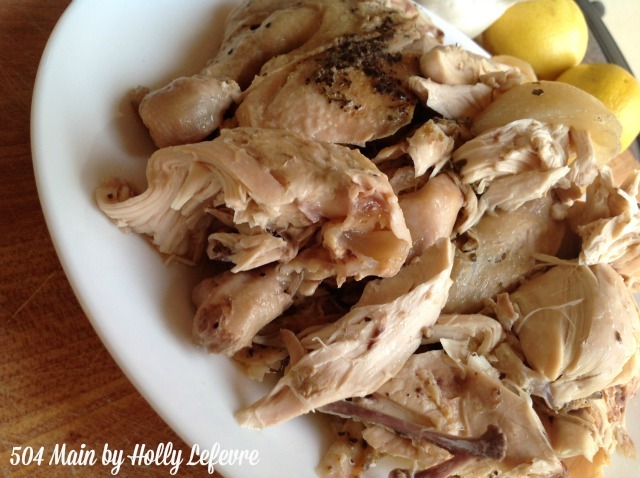 Place chicken in slow cooker, breast side up. Add the onion to the slow cooker. This chicken is so moist and tender...it literally falls apart as you remove it from the slow cooker, which is fine by me...no carving! 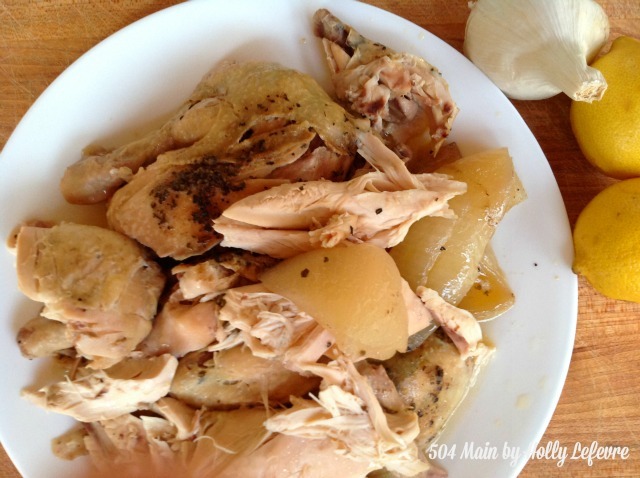 I make this chicken all the time and it works so well with our busy schedules. We use it in salads, serve it with rice and pasta, and in chicken tacos! Whew! Everyone is happy! 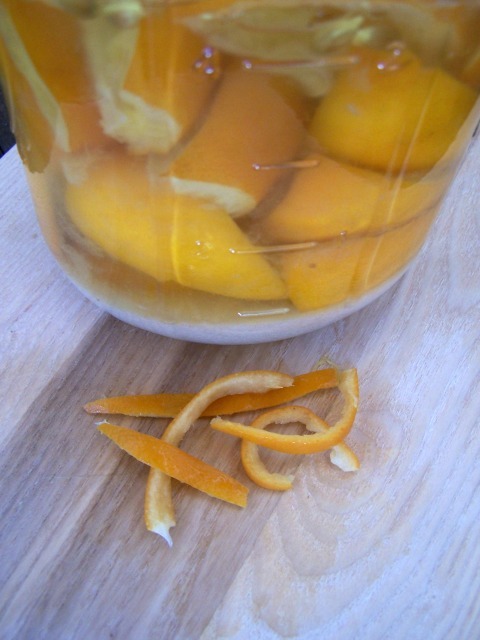 You can also play around with the spice combinations - add more or your favorite...and it is amazing when some preserved lemons - they add a richness to the dish. Now go grab and chicken and make dinner tomorrow easy peasy!